Summary: di Rosa Center for Contemporary Art seeks a qualified on-call Preparator to assist in the preparation and installation of exhibitions and assist with collections projects as directed. • Under the direction of the Lead Preparator, assist in the execution of di Rosa’s exhibitions and collection rotations. • Ensure the safe handling and installation of works of art for temporary exhibition in a timely fashion. • Should be knowledgeable in all safe art handling practices: installation, wrapping, and packing. • Assist in the preparation of galleries for installation including wall painting, wall preparation, construction, framing, drywall installation and general light carpentry. • Assist in working directly with artists to realize commissioned or newly-fabricated artworks. • Work closely with the Lead Preparator, Curator and Collections Manager/Registrar to receive and return artwork and establish protocols for best art handling practices. • Assist in the construction of crating, pedestals, cases, and other exhibition furniture. • Under the direction of the Lead Preparator provide timely and accurate installation, and deploy a variety of techniques to execute exhibition design, object placement, and furniture design. • Bachelor’s degree in Visual Arts, Studio Arts, Design or similar field of study or commensurate work experience. • At least 3-5 years’ experience as preparator or in a similar position in a museum, gallery or arts organization. • Demonstrated knowledge of museum installation techniques. • Experience with art handling, storage, packing, crating and installation. • Thorough knowledge of construction techniques, materials and tools. • Ability to climb ladders and scaffolding, to lift up to 50 lbs and stand for long periods of time. • Ability to read building plans, specifications and diagrams. • Ability to perform a variety of building trades-skilled tasks. • Skill in the use and care of hand and power tools. • Excellent communication skills with ability to identify problems and resolve them quickly so that installations can function smoothly. 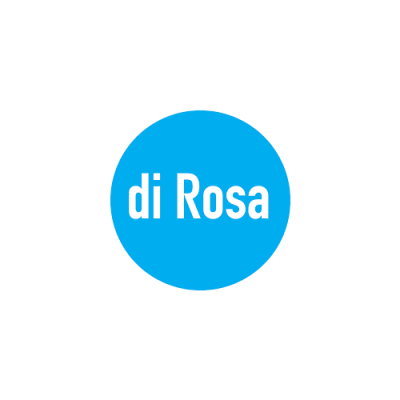 • Ability to work effectively in partnership with people of diverse cultural backgrounds; ability to lead a team and foster collaboration with all members of di Rosa’s staff. driver’s license and be willing to work occasional nights and weekends. General Time Commitment: This position is on-call, as needed. periods. Ability to lift 50 pounds. Ability to perform routine bending, stooping, twisting, and reaching. to successfully perform the essential functions of this job. and in compliance with California law. scenic acres in Napa Valley’s famed Carneros region. For more information, visit dirosaart.org.